Making a minion cake is so much fun! The little ones in your life will love this whimsical cake, and you will too, because it is delicious. Hey guys! A few weeks ago I made a minion cake for my 13- year old niece’s birthday party and posted it in one of my weekend series. You all loved it and loved it even more on Facebook. With all the requests for a HOW-TO, I figured I should let you in on how easy it was to make this minion cake so you can WOW your loved ones too! But first let me start by saying, I was not planning on blogging this, so I did not take detailed step-by-step pictures of everything. So please bear with me as I explain in words where the pictures do not go. I used my chocolate cake recipe to bake three 6-inch round cakes, one 6-inch half-ball and a few cupcakes for display. **Note: if you want a bigger cake, use 3 8-inch round cakes and 1 8-inch cake baked in a hemisphere pan and double the recipe above. 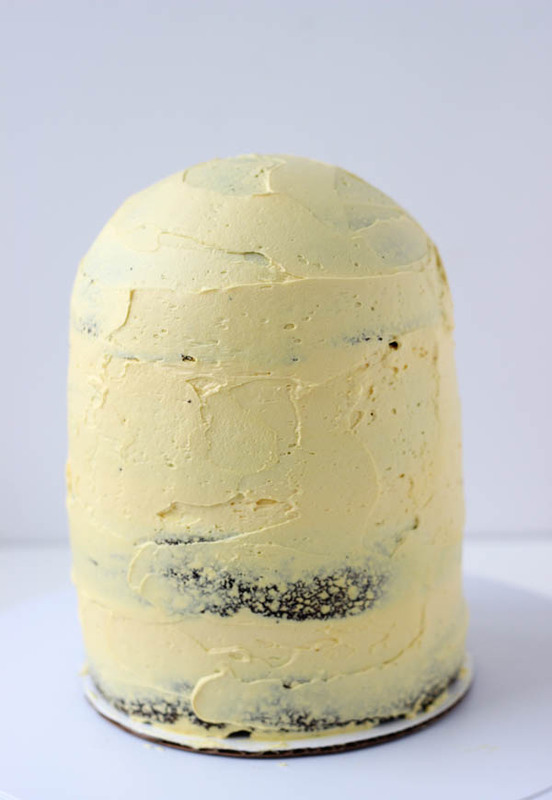 2) – Your favorite frosting, colored yellow. Find mine HERE. **Note: I decided not to cover the entire cake in fondant because I dislike the taste of fondant and would rather have people enjoy the birthday cake. So I went the frosting route. Feel free to buy more yellow fondant to cover your cake instead of yellow buttercream frosting. Bake your cakes the day before. Wrap in plastic wrap and chill overnight. It’s always easier to work with chilled cakes. Fill your cake with your frosting. Crumb coat your cake with frosting. Refrigerate for 30 minutes. 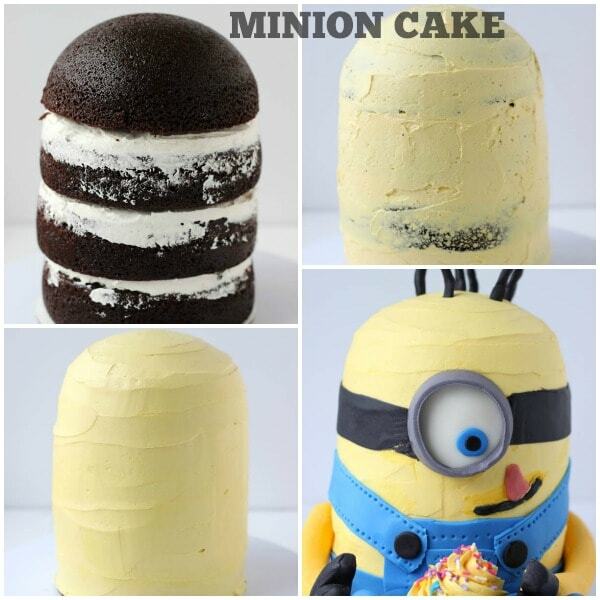 While the cake chills, make all the features to bring the minion cake to life. One white circle for the eye (with blue pupil!). Some people do two eyes, so you can here. One black headband. I’m going to call it a headband, but it’s the black band you see coming from the goggles. Two arms with attached black hands. Here just roll out logs of yellow fondant into sausage like rolls and for the hands, we just sculpted them free-hand. Blue overalls: For this we had four blue rectangular bands detailed with a toothpick. Two squares (one big and one small) for the front of the overalls. And two buttons. Note the front mirrors the back but you do not have to do the overalls at the back. Two feet. These are just two blue stubs that were sculpted to look like feet. Black hair: small rolls of black fondant on toothpicks. I used the toothpicks to attach them to the top of the cake. Finally, assemble all the parts. I used edible glue (gumpaste dissolved in water) to attach the fondant to the cake. So there you have it. The completed minion cake. It looks wonderful doesn’t it? Again, I apologize for the lack of pictures of the assembly. But I hope the step-by-step descriptions will help you. I had tons of help from my husband in the assembling and that made it easier to hold things down. If you have any questions please let me know in the comments below. On close look, it’s not perfect (torn band, uneven edges etc) but that doesn’t matter. My niece loved it!! She was over the moon and everyone at the party was amazed by the cake. 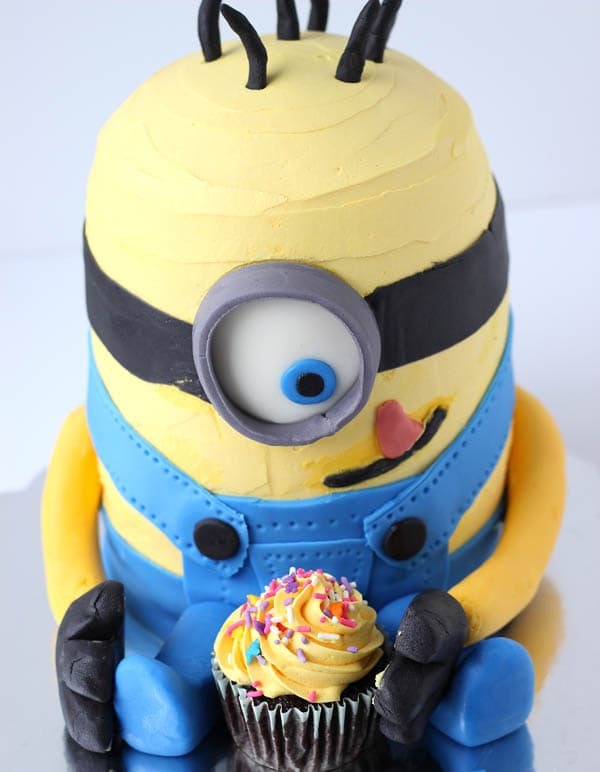 Hope you will make this cake for a loved one who enjoys the minions or at your next minion themed party. If you have any questions, please don’t hesitate to ask in the comments below. Oh: this cake served up to 25 people at our party with plenty leftover. **Hey… this post contains affiliate links! Just FYI. Oh my goodness, this is adorable! Your niece must have been thrilled. 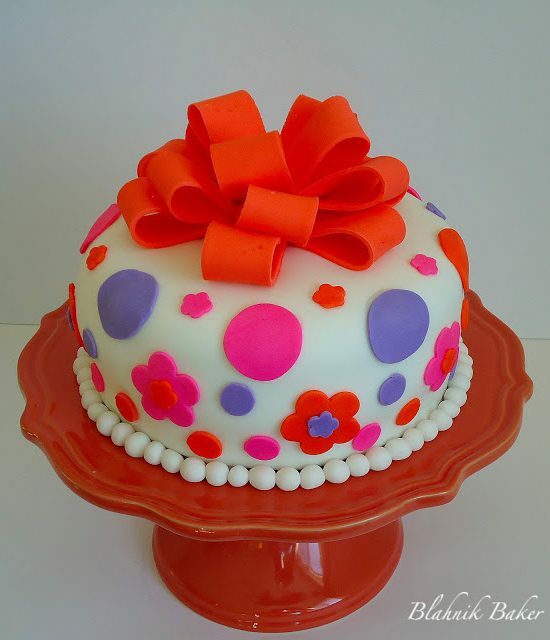 I’m not a big fan of fondant either, so it’s nice to see that something like this can be done with frosting. And I love that he’s holding a cupcake! You are so talented girl! This is seriously one of the cutest cakes ever. 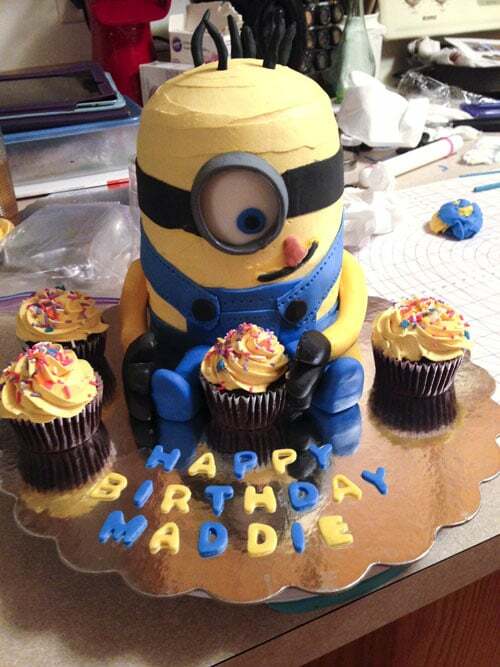 You are seriously the best aunt ever – this cake is awesome!!! I’m so impressed, and so glad you shared with us! This is so super cool! Great cake and I appreciate the instructions. Oh I am definitely making this cake as soon as I get the chance! My nephews will love it! OMG…that is AWESOME Zainab!!! I am so glad you used buttercream. I can’t stand that much fondant on a cake! Im making the cake for my twins this Saturday, do you have a template for the fondant pieces? Hi Encarni, unfortunately no. I just went with the general idea. Sorry. But maybe try looking online to see if someone else posted some templates? I am still so impressed with this cake. I love it!!! Now if only I knew little kids to make it for them although I am pretty sure my Mr. J would enjoy it so much too. Quite impressive! I wish I had your cake decorating skillz! This cake is so cute! Your niece is a lucky girl! Thanks for stopping by 🙂 Have a great weekend! Well look at you miss Cake baker specialist! This cake is awesome!! How lucky was your niece that got to have this cake at her birthday! If only I had a kid to make fun cakes like this! Guess my time will come 😉 Thanks for sharing the process! OMG, Zainab! You did a phenomenal job with this cake. I can’t get over how cute and perfect it looks! Your niece must have loved it! You never cease to amaze me, Zainab — this cake is so perfect! I just love those little yellow guys, and you got this down to every little detail. Maddie must’ve been thrilled! This is stinking cute! My babies would love this. Zainab, my mouth dropped open in awe when I saw this. You’re ridiculously talented, lady. This is so freaking cute and I bet your niece went crazy for it when she saw it. This is such a helpful and informative tutorial! I’m so impressed with the end result. And I agree completely re fondant. Regular frosting tastes so much better! Love this! I really need to work on my cake decorating skills. They are getting better though! I still cannot get over this amazing cake… just incredible, Zainab! I love how he’s looking at the cupcake! This is AMAZING Zainab! Now I want to have a Minion party!! Pinned! Saw this on Pinterest and had no idea it was yours! I love it, Zainab! It’s so much fun and perfect for any kid’s party. Julia it is really not that hard I promise!! Thank you so much! 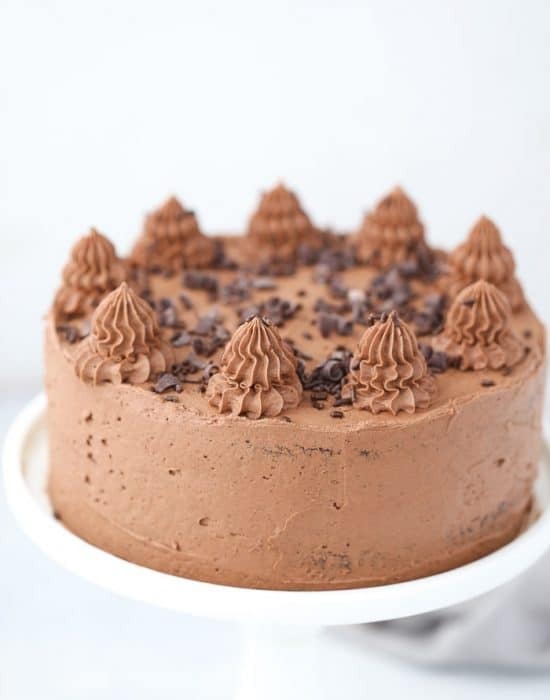 I love this cake and will have to give it a try!!! I am in awe of your skills! This cake is beyond amazing! Zainab, I do not for the life of me know how in the world I missed this cake, but truly, there are NO words! It is simply beyond amazing! I have a little nephew who would probably never let us eat this! Such an amazing job and fantastic tutorial!! 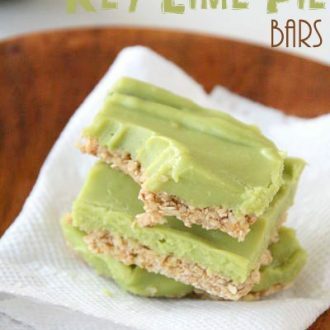 Thank you so much for sharing at Best of the Weekend and of course, pinning! Have a happy Sunday and a fabulous week! GREAT job, I love this. I’m doing a Minion party for my son this summer, I may have to give it a shot! I have been so crazy busy this month I can’t believe I missed tutorial. I just saw it posted on Wake Up Wednesdays. YOU ARE AMAZING! What a lucky niece you have! I love that you frosted the cake I’m not big on fondant either. Isn’t cake decorating (especially for loved ones) so fun? Bravo to you Zainab! Awesome job! Looks better than the one I made for my son’s birthday. Amazing! Really love your creation! This is so amazing! I am definitely making this for my nephews birthday at the end of June. How many people did this serve and how exactly did you cut and serve it? I don’t want to mutilate the cake, which I know I will do without any instructions! Thanks so much! Want to know how many pounds it was including weight of fondant cream etc?for how many people it was sufficient? Hey, I loved this! 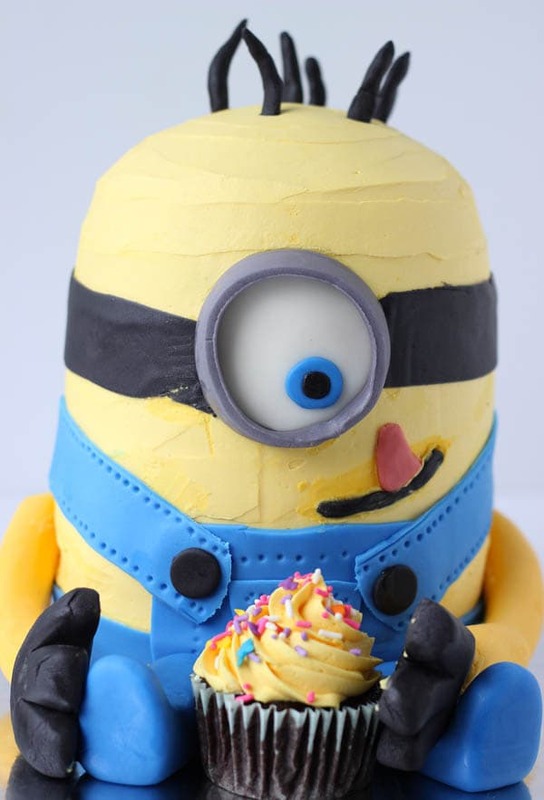 and my son just turned two yesterday and we are having a small gathering on Saturday and will be trying to make this since he love the “bananas” like he calls the minions! Yours looks amazing and hoping ours comes out the same way! Great cake! 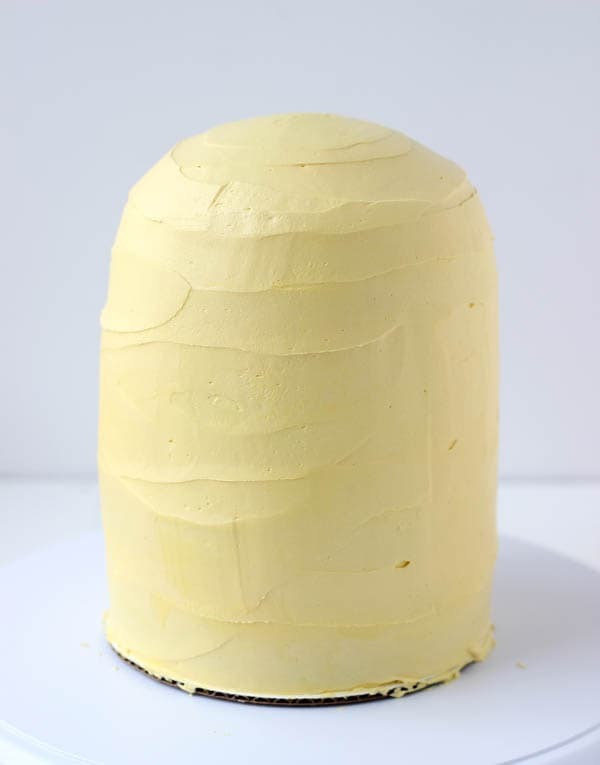 Just a little tip…if you want your icing to look perfectly smooth like fondant, after you smooth as best you can with your spatula, let it “crust” a bit (5-10 minutes air dry) then take a small, non-porous, sponge paint roller and gently roll over the buttercream-smooths it to perfection! You can also use a plain, non-quilted paper towel to blot/rub it smooth, but I personally think the roller is easier/better. This is a great cake! Going to make it next summer for the new Minion movie coming out! What tip did you use for the frosting on the cupcake? I hope you love it when you make this! I used Wilton tip 1M for the cupcakes. Awesome! I am copying your cake for my son’s birthday this weekend. Thanks for the instructions. Yay! Let me know if you have any questions as you make it! Hi Meg, I used a ball cake pan to do the dome part. Wilton makes one and I bought mine at Micheal’s craft store. Hope that helps. I hope you get to make it soon!! About how many people would you say this would feed? We fed about 20 people and there was quite a bit left. So I will estimate 25 people. Such an adorable cake! Thinking of trying it for my son’s 3rd birthday if he doesn’t change his mind on the theme again! Just wondered, you said you used liquid edible glue to attach fondant to cake- did you have to use any extra reinforcement to hold the eye? It looks a little heavy- did you need toothpicks or anything extra? Thanks for the guide and pics – this is super helpful. I made this cake this week for a friend’s birthday and it came out great – everyone enjoyed it. http://oreouk.livejournal.com/247322.html should you want to see. Thank you so much for letting me know! Your cake looks AMAZING! So glad that everyone enjoyed it! I just made this cake for my daughters 6th birthday party tomorrow. Thank so much for posting this, as I copied it as far as I could. I would put a photo but not sure how?? Anyway, it was easier than it looks and didn’t take as long as I thought it would. And it looks awesome! Totally just made this cake for my daughters first birthday, not as pretty as yours but it is the first cake I have made and makes me happy. I also only used fondant for arms and legs I improvised for every thing else. Thanks for the basic outline=). Theresa I’m so glad to hear this!! Your girl is going to love it because it’s full of love! Using less fondant is such a good idea…I dislike the taste of that thing. Less is best. Thanks again for letting me know how yours turned out!! Love the cake! Did you use any kind of reinforcement between the layers? oh my gawd, Z!!! I love this!!! Ya know a taster way.. Do not use fondant!! 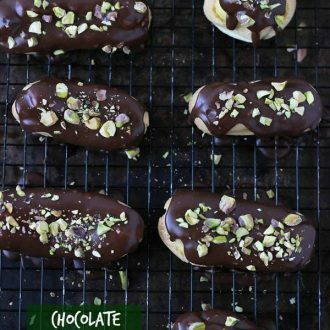 Use molding chocolate! Its taster and easier to work with.. Use NOTHING that is wilton.. That is probably why you do not like fondant.. It is also easier to MAKE your fondant and molding chocolate.. When i make cakes i use americolor colors, mericks chocolate, MY own molding chocolate and marshmellow fondant I make myself.. I am so making this next week for my son’s 7th birthday!!! 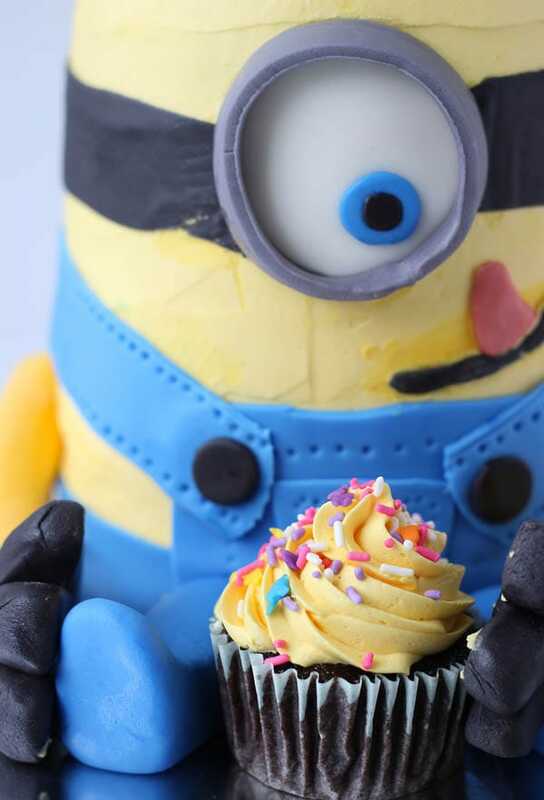 Been looking for s minion cake and instructions for a month noe and yours is so cute!!! Hope it’ll turn out as cute as yours! Thank you so much fir posting!!! Great job!! I am going to try this for my son’s 4th birthday. Amazing really! Great cake! Thanks for sharing! I love the detailed instructions too. 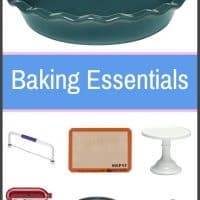 As a relatively beginning baker, I have one question that is probably obvious to most of you – when cooling the cakes before frosting, do you leave them in pans and cover, or take them out? Sorry if that’s obvious lol!! I usually let the cakes cool in the pan for 10 minutes before removing and cooling completely on a wire rack at room temperature. You can also wrap the cakes in plastic wrap once they cool down and refrigerate it. i love the minion cake but wonder how you cut it to serve it. Help please??? I’m going to make it in a couple weeks to take to my granddaughters when I visit. Bette, the cake is all edible so you can really attack it anywhere you like. I started at the top and worked my way down. Hope that helps! This cake looks amazing. Thanks for the instructions. I’d like to try and make it. I havent made a cake, only the basic Betty/Duncan boxes/icing. Never worked with fondant either, only ate it :). I bought 6 boxes of the higher end Duncan mix, didn’t think I should try making a cake and decorating at the same time since I never have. I was going to do a trial cake first. Do you think this cake would be somewhat easy to do if you never have made one? 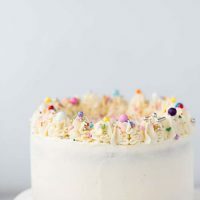 Would the amount of fondant you mentioned be enough to make this cake 2x? I love the Betty Crocker mixes for cakes as they are always fast and as you said a sure bet. Just make sure you bake them in either 8-inch or 6-inch cake pans for this cake (depending on what size your pans are). I think the fondant will be more than enough as I had lots of leftovers. but to be on the cautious side, get a bit more fondant so you are not stressed if you run out. Hope it all goes well! 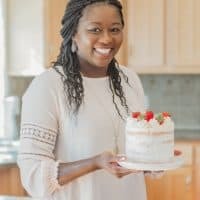 could you use frosting for the whole cake instead of fondant? Yes and that is what I used. I used frosting for the whole cake…the yellow base and used fondant just for making the decorations. How tall did this end up? Concerned about transport, but I really want to do 3d rather than a sheet cake version. Hi Joy! It’s hard to tell how tall the cake is because unfortunately I didn’t measure it. I placed it on a cake board and put the whole cake in a box. And I had my husband drive as I held the cake on my lap. I hope that helps! thanks for the response. i planned to do it a little shorter so it would fit into my cake carrier. I have not ventured into transporting in large boxes yet, as i am not delivering to things other than stuff I attend anyway. My friends get to be the guinea pigs for my practice. They think everything is amazing even if i don’t. The only things i have sold, were cupcakes and small two layers that i could easily put into boxes. I just trimmed as i leveled the cakes and eyeballed how to scale the decor. (all about drawing on cakes with toothpicks!) My fondant came out really soft, so the ends on my straps were not as neat as yours, and his arms are gonna be droopy, but this is my most intricate cake so far, so i’m not that concerned. I have only done simple squares and circles for fondant before. I am still in progress, so i will try to send a pic when i finish. i live in the humid south, so that may be part to blame for the extra softness. 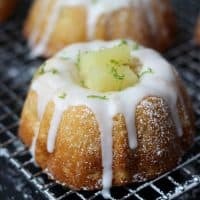 i still prefer this MMF over rehydrating the regular fondant in my pantry! FYI, i feel a little kinship with you as i see you are a scientist. I stopped at a master’s degree in chemistry as research was not really my thing. You are obviously very smart and talented being able to keep all this going while married and keeping up your website! Cake decorating is one of my creative outlets that also helps me fight my perfectionism. I have learned a lot about not stressing over imperfections, but also taking a little pride in seeing what i can create. I also just saw that you have a new baby. Wow! congratulations, and double thanks on answering my question when you have so much more to focus on at the moment. I just finished my cake. I put a partially eaten cookie in his hands since this is not for a birthday and i didn’t make extra cupcakes. I actually am making this for an adult as an end of year thank you type of thing for our church group. So, no need for kids parties to have a reason for minions! Hi Zainab! I love this cake so much, and am going to attempt it for my niece’s 2 year old birthday next week! Did you buy the gray fondant in that color for the goggle or were you able to make it with the gel colors?? I apologize if this was already asked and I missed it! Thanks! This is precious! I made one too for a doctor’s son I work for! Turned out great thanks to your tutorial!!! Wish I could post a picture of mine! Thank you! Made this for my sons first and it was a hit. He burst into laughter when he saw it. I’m so glad to hear you loved the cake!! hello love the cake it’s amazing, I just had a quick question. Is the recipe you have given enough for the three tins plus hemisphere tin too? Thank you in advance :). Hi Gee. Yes the chocolate recipe above is enough for the three tins (8-inch tins). I am going to make this cake for my son’s bday. He has food allergies so mine will be a bit more customized to follow his dietary needs. I was wondering how you stored the cake once completed. We will be going to a jump house place for his party and it will need to teavel. I am assuming it will be too tall do the cake container I have and possibly ly too tall for the fridge. Did you wrap the finished cake in plastic? Hi Laura! I’m glad you are going to try this. I stored the cake in the fridge overnight…I had to remove one shelf from from the fridge for it to fit. And I just held it in my hand for travel…my husband drove and I had the cake (on a cake board) on my lap the 1hr drive to my sister’in-law’s. However I will suggest you put it in a large box. And make sure it fits snuggly in the box and place that box on the floor of your car. It should be safe. Hope that helps. Oh and no I didn’t wrap it in plastic when I stored it. It was just overnight so I wasn’t too worried for the cake. Thank you so much for sharing your gorgeous minion cake. Your minion cake was my go-to reference and inspiration for my child’s birthday cake. I’ve never made anything like it before and there were some hiccups along the way but ultimately we ended up with a sweet little Bob minion, a bit rough around the edges but loved and adored all the same! 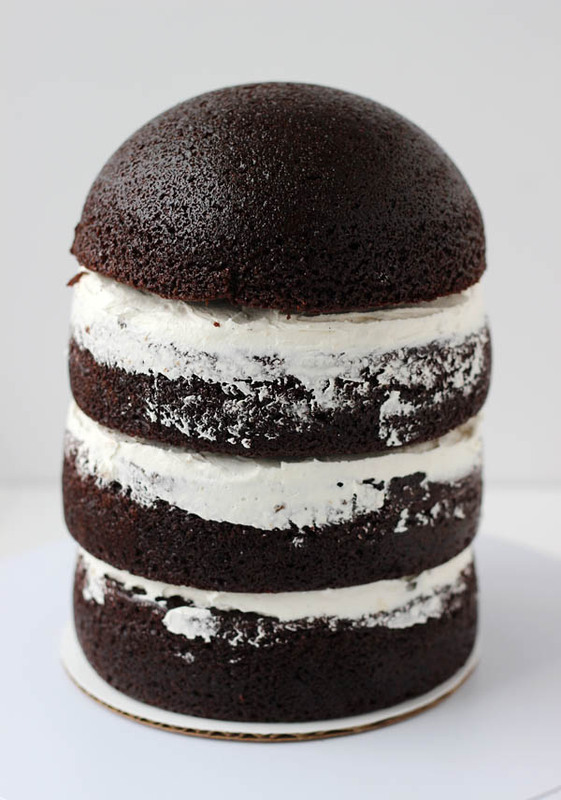 I would love to try this on a mini scale with rounds cut from a slab (tray bake) cake and stacked together in the same way. Thanks again and happy baking! I’m going to attempt to make this cake for my niece and nephew’s bday party. I got all the ingredients but I did not get a dowel for support. I’ve never made more than a 2 layer cake. Is internal support absolutely necessary? Cindy, they are helpful for structure and support with transportation. If you wont be moving it much then I will say they are not necessary. But you could also improvise at home…I actually used skewers to hold mine together but recommend you use dowels since they are stronger. Beautiful cake!! Can you please tell me how deep your 6 inch pans are? 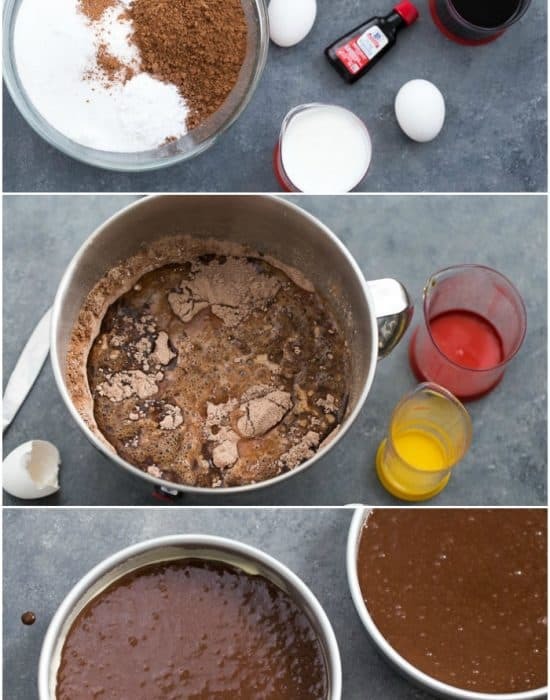 I am going to make this cake but considering getting 2inch deep pans but I see there are also 3 inch deep pans. My 6-inch pans are 2-inch deep and they were fine. I hope it turns out great! Great looking minion! I am about to make this for my grandson’s 7th birthday. How did you cut the cake to get so many pieces? That is the only thing I am having trouble imagining – did you cut it in half from top to bottom and then cut slices? Would love to know. Thanks! Hi Susan! I hope your grandson loves the cake. I cut it from top to bottom just as you imagined and it was easy. Cathy, are you asking how many people it would serve? Close to 35 is my guess but you will have to use your best judgement. The cake recipe you posted is for 8″ rounds. Did you use a deeper round pan for the extra cake batter for the 6″ rounds you made, or did you use 6″ x 2″ ? Thank you. I used a 6 x 2 for the cake rounds and had enough extra cake batter for the dome top and cupcakes. So I made this cake Zainab and it was amazing! Didn’t look as good as yours but was pretty good and also your chocolate cake recipie was amazing – one of the best chocolate cakes I have ever eaten! Thank you so so much! I would show you but I’m not sure how to post pictures. Ps my two year old son who is minion obsessed, loved it! Sonia! I am so happy to hear that. So glad it came out great. I would love to see it. 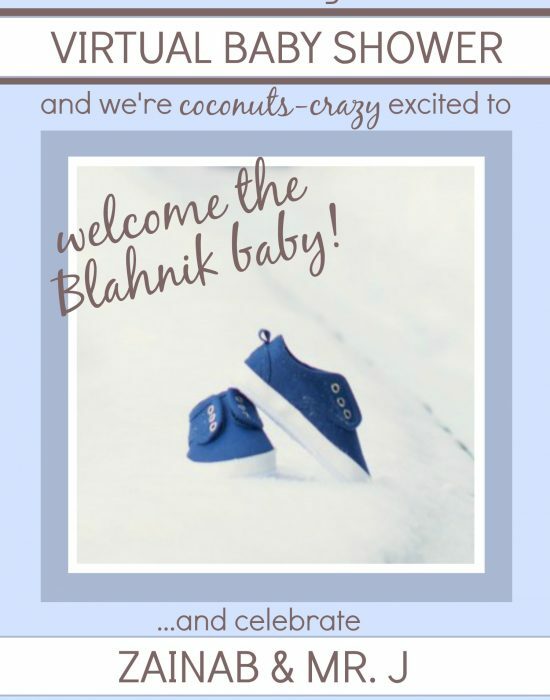 It could be easier to post images on Facebook or Instagram and tag me (@blahnikbaker). Thanks for letting us all know you loved it! Hi. I LOVE this cake!! 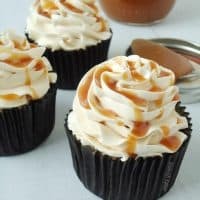 i want to try it for a friends birthday next month. But i was wondering, i always read that you should wait till the very last minute to put fondant decorations on a cake. could you please tell me why? how long before eating the cake did you put the fondant on? could i do it a few hours before the party? Thank you so much for you help!! Hi Amanda! I haven’t heard that before but I don’t work with fondant very frequently. Since this cake has fondant just for the decorations, you can do it the day before and still have it being fine. I made this cake the day before the party and the fondant attachments were just fine the next day. My guess for that reasoning would be that the fondant ‘sweats’ on a cake that is completely covered with fondant. But that would depend on whether the fondant was attached with gumpaste glue or just buttercream. Either way, this is not a concern here. How did you cut it for serving slices to your guests? Actually I’m not aware of how to slice a cake shaped like minion or doll cake… Can you please guide me..and did you use dowls for securing the cake? Hi! I did use dowels to secure the cake. I was able to cut it starting at the bottom. 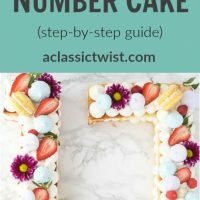 The bottom cake is a round cake so easy to slice. I am not sure why it is hard to cut. It’s a cake…just slice it when it is time to enjoy the cake! Hi Ivette! Yes the goggles are fondant. You can definitely spray white fondant to get the same effect. Please let me know how your cake turns out! My daughter is really a huge fan of Minions & Banana!! 😛 Good Job dear. I am definitely going to try this cake for my daughter’s birthday. She would love it for sure. Thanks for sharing each an every minor detail of this cake. Loved this really. Best wishes and Regards.